Is your CV ready for the end of the recession? 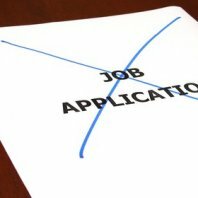 Home » Blog » How to Write a CV » Is your CV ready for the end of the recession? Your CV is going to come under increasing pressure over the next year as the economy pulls slowly from recession into a growth phase. The CBI predict that up to 35% of private sector employers are expecting to expand their workforce over the coming 12 months. In contrast 15% expect the workforce to be smaller. Increased confidence from employers will filter into the economy and this knock on effect will in turn stimulate more interest from candidates who may have been treading time in positions that they no longer want. In turn, they will enter the recruitment market and increasingly dilute the pool of talent that is looking for the new positions. If the numbers are correct and you take the split from the two as a straight 20% then the numbers applying for each role will increase but the question is not how but by how much? It is difficult to predict but for arguments sake lets say a minimum of 10% and a maximum of I’m not sure! What I can predict is this; More choice for employers and recruiters is the first simple assumption to make but what any candidate that has been out of work or is in an interim position should be concerned about is the competition from the people that just wish to change jobs. In a majority of situations those that have employment can be favoured over those that are out of work or interim. The bias occurs because a blanket false assumption is made that those coming from employment have a fresher skill set. Regardless of your current employment status it is your CV and to some extent your Linkedin profile that must start doing the work for you. Target the positions that you wish to apply for and start tailoring your CV to win interviews and jobs. If you have a generic CV or lack key detail from the job description woven into your CV (and cover letter if required) then you should not be surprised when you are not contacted to go for an interview. If you want to beat the competition you have to beat them on every conceivable level. Leaving everything to indifference is a catastrophic career choice.